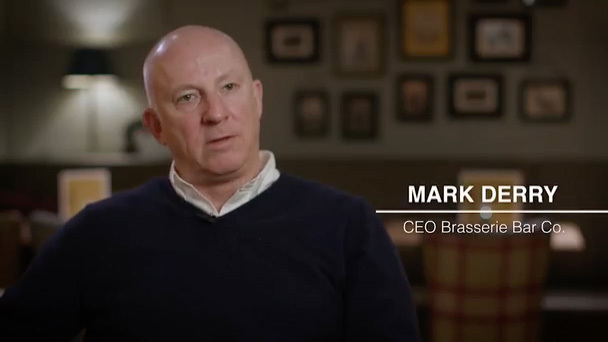 Mark Derry is to take over the role as Executive Chairman at Brasserie Bar Co, the UK pub and restaurant company with the Brasserie Blanc and White Brasserie brands. Mark, CEO of the business, will take over from Ian Edward who will continue as a retained advisor. Ian’s other board roles in the sector include Hippo Inns, Pizza Pilgrims and Seafood Pub Company. Brasserie Bar Co has 19 French brasseries and 17 pub-brasseries around the UK. For more information, please contact Jess Carter or Sarah Harding at Roche Communications on 020 7436 1111 or email jess@rochecom.com or sarah@rochecom.com. Brasserie Bar Co, the 36-strong group behind Brasserie Blanc and the White Brasserie Company, has announced its results for the 12 months ending July 2017. During the year, the group opened 6 sites, four pubs and two Brasserie Blanc restaurants including its first within a hotel. In May 2017, the Group completed a refinancing with OakNorth Bank providing competitive senior debt and a capex facility to continue steady expansion. Commenting on the financial results, Mark Derry, CEO of Brasserie Bar Co said: “In a difficult year for the licensed retail sector, we are delighted to report another period of considerable achievement. We served some 1.6m guests, collected 40,000 pieces of feedback with an average score of 9 out of 10 and saw eight sites breaking sales records. Financing from OakNorth Bank has enabled our roll-out plans to open 24 new sites in the next five years. We look forward to growing our estate and our team despite industry challenges”. The Brasserie Bar Co comprises two core formats: Brasserie Blanc, the French brasserie group inspired by Raymond Blanc and the White Brasserie Company, a quality dining business replicating the standards of Brasserie Blanc in a pub setting. There are currently 20 Brasserie Blanc outlets in the UK located in Bath, Beaconsfield, Bournemouth, Bristol, Cheltenham, Chichester, Farnham, Leeds, Milton Keynes, Oxford, Portsmouth, St Albans and Winchester. London locations include Chancery Lane, Charlotte St,Fulham Reach, Southbank, Threadneedle Street and Tower of London. There are currently 16 White Brasserie sites at Locksbottom, Old Redding, Cobham, Berkhamsted, Teddington, Weybridge, Chobham, Oxshott, Reigate, Englefield Green, Upminster, Chalfont St Peter, Alderley Edge, Guildford, Thame and Ruislip. Brasserie Bar Co has released its Annual Report & Accounts for the 12 months ending June 2016. Reported turnover for the group rose 10.2% from £37m to £41m with double digit like for like growth in the rebranded Brasserie Blanc estate. Most significant in the financial year was the evolution of the Brasserie Blanc brand with far-reaching transformations that have delivered impressive growth and some of the highest NPS and Trip Advisor scores in the industry. The White Brasserie pub company continued to expand starting the year at 6 sites moving to 11 by the year-end. The financials are released as Bar Co goes on site at Fulham Reach, Hammersmith for a major project that will be the company’s 19th Brasserie Blanc (due to open in June 2017). The new restaurant will have 129 covers inside and 50 outside on a terrace next to the Thames. 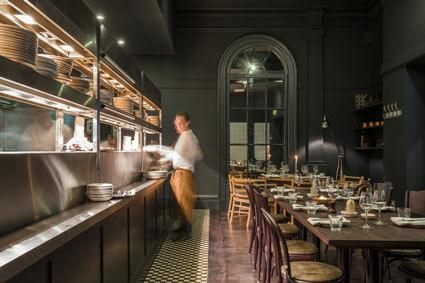 The interior by Jordan Littler will be another design step forward for Brasserie Blanc that recently won BEST BRAND EVOLUTION at the Retailer’s Retailer Awards. We are delighted to announce that we have beaten stiff competition to be crowned winners of the ‘Evolution Award’ at the Retailers’ Retailer Awards. Hosted at the Guildhall in London on 7th March, the highly-respected awards celebrate the best companies, concepts and individuals in the pub, late-night bar and restaurant sector. Now in its 19th year, the awards are the only accolades voted for by leading industry figures across the category, providing a true reflection of the market. The ‘Evolution Award’ is given to a ‘trading format that has endured, recognising the huge importance of evolving or repositioning concepts to stay relevant to current consumer demand, in the bar, pub and restaurant market’. Other nominations within the category include: Drake & Morgan, Eclectic Brighton Pier Group, Greggs, Punch and Welcome Break. The award provides further evidence of Brasserie Blanc’s growth within the competitive market and marks an inspiring start to our 21st year of trading. Throughout 2017, we will host a collection of events to celebrate the landmark occasion with new menus, specially-commissioned drinks and seasonal offers. Mark Derry is interviewed as part of the Big Hospitality ‘In Operation With’ series. He discusses the evolution of the White Brasserie brand and future growth plans from the recently opened Barley Mow in Engelfield Green. Brasserie Bar Co, the group behind Brasserie Blanc and the White Brasserie Company, has announced its results for the 12 months ending June 2015. Reported turnover for the group rose by 14% from £32.7m to £37.2m and restaurant EBITDA increased 9% from £5.2m to £5.7m, with some outstanding performances from a number of sites. During the period, the board conducted a review of the Brasserie Blanc concept which led to a complete rebranding and refurbishment programme to modernise the business and broaden its appeal. Nine sites were rebranded during the period and the early signs are very encouraging. The refurbishments have been well received by customers, and we are now seeing an increase in turnover at these sites. The brand is now ideally positioned to go from strength to strength in the future. Brasserie Blanc, the 20-strong French restaurant group led by CEO Mark Derry and acclaimed chef Raymond Blanc is set to undergo a transformation as it rebrands and begins an extensive refurbishment programme. Working with award-wining branding and interior design agency, Blacksheep, the restaurant group is looking to build upon its success with a new understated and stripped-back identity, carefully designed to respect the character and history of each site. The new branding, which has been translated across all the collateral including the logo, web site and menus has already been introduced to the brasseries in Cheltenham and Winchester with Oxford and Bristol scheduled for early 2015. The Deputy Prime Minster is kicking off a week of celebrations to highlight just how far school meals have come since the days of lukewarm liver and bacon and lumpy banana custard. As part of National School Meals Week (3-­‐7 November) a host of celebrity chefs are joining forces with schools cooks to promote the great school lunch. It comes just months after the launch of free school meals for 2.8 million primary school children and the introduction of cooking on the curriculum. 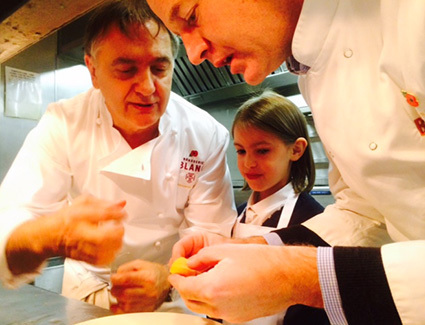 On Monday, the Deputy Prime Minister will be joining school children at Brasserie Blanc in Oxford, to get some top cooking tips from Raymond Blanc, before heading to a primary school in North London to cook up a storm with Lorraine Pascale. “It’s a very simple truth that if you don’t give children a healthy, balanced meal at lunchtime, you can’t expect them to sit down, concentrate and learn well in the afternoon. That’s why I’m so proud of the work we’ve done in Government to put school food back on the agenda. We’ve introduced new food standards, cooking on the curriculum and free school meals, which can save families up to £400 per year, help children do better in class and improve their daily diet. 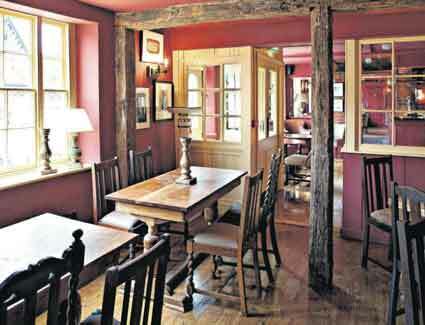 British pubs have been going through a torrid time, hit by higher taxes and a drop in customers. But Mark Derry – the chief executive of upmarket restaurant chain Brasserie Blanc – thinks the renaissance in gastropubs will help his business boom. To sate the public’s renewed appetite for gourmet pub food, Derry has partnered with Raymond Blanc. The celebrity chef not only sits on Brasserie Blanc’s board, signing off all its menus, but is also closely involved with the firm’s gastropub business. Brasserie has three sites operating on the outskirts of London, with another soon to open. Derry plans to grow that to 20 outlets in the next three years, situated around and near the M25, after raising £13.5m earlier this year. 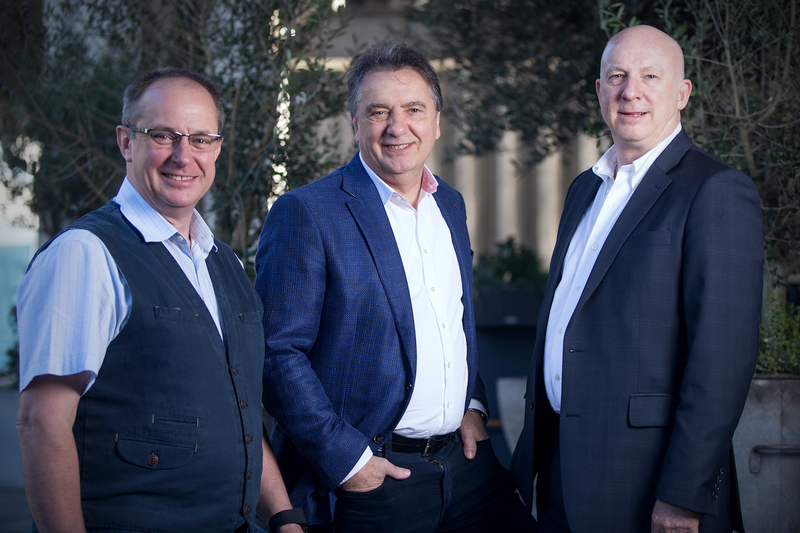 Brasserie Bar Co, the owner of Raymond Blanc-inspired Brasserie Blanc and White Brasserie Company, has secured £13.5 million of new funding to support the expansion of the group by at least 20 new sites over the next three years. The company has secured the investment from ESO Capital Group which specialises in providing tailor-made capital solutions to small- and medium-sized companies across Europe. The new funding will be used primarily to develop the White Brasserie pub concept. "Our aim is to open at least 15-20 new sites over the next three years of which pubs are the primary focus. Our two existing sites at Teddington and Weybridge consistently out-perform the average UK pub with turnover in excess of £30,000 a week each. We are bullish about the potential for our pubs and we are actively looking for new sites which we can develop." "The funding option from ESO is suited to our growth plans. We need access to funds on a flexible basis to boost our development plans and we are delighted that ESO has chosen to support the business." Private equity company, Core Capital remains Brasserie Bar Co’s lead investor. London Loves Excellence Awards: Brasserie Bar Co were proud winners of the inaugural LondonLovesExcellence Award for Tourism and Leisure, presented at a gala dinner at The Marriott, Grosvenor Sq on 25th June. The awards, created by LondonLovesBusiness.com and the London Chamber of Commerce recognised excellence in businesses from sectors including IT, retail, financial services and tourism and leisure. The Chairman of the awards Willie Walsh fielded an impressive line up of judges including Kelly Hoppen, Karen Brady, Luke Johnson, Kit Malthouse and Michelle Mone. Brasserie Bar Co was particularly commended for its rapid growth in London in 2012/13, its focus on employees (72% of shareholders are employees) and for its key involvement in the Mayor’s apprenticeship drive for the hospitality industry. 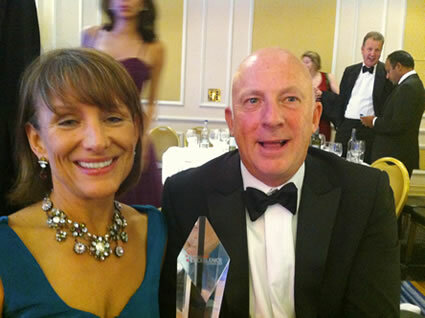 Mark Derry, Chief Executive of Brasserie Bar Co, collected the award from sponsors visitmonaco.com and presenter Katie Derham. Brasserie Bar Co, the group behind the Raymond Blanc-inspired Brasserie Blanc and White Brasserie Company, has secured a new £6 million facility from Barclays to support its expansion and development plans. This comes after Brasserie Bar Co’s recent acquisition of eight former Chez Gerard sites in London including the iconic Opera Terrace restaurant at Covent Garden. The first Brasserie Blanc opened in 2006 and the company currently operates 11 Brasserie Blanc sites across the country, with plans to expand to 19 restaurants by the end of the year and a total of 40 outlets by 2016. The most recent additions to its portfolio are in Berkhamsted and at St Paul’s in the City of London, which opens in early April.. The company also operates the White Brasserie Company which brings Brasserie Blanc standard food to pub restaurants, and currently works with two pubs in the south of England. Brasserie Bar Co, the group behind Brasserie Blanc and the White Brasserie Company, has exchanged contracts with Groupe Chez Gerard Restaurants Limited for eight restaurants in London, including the key location at the Covent Garden Opera Terrace. 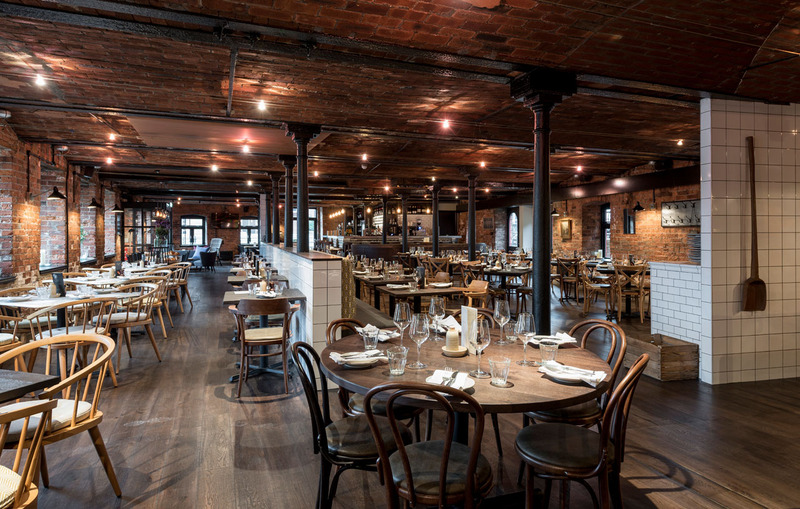 The company expects to invest a further £4 million to transform them into Brasserie Blancs through a rolling programme which is expected to be completed during 2012. This deal comes soon after Brasserie Bar Co raised £20 million of new capital from its private equity backer, Core Capital and gives the business a significant West End and City of London presence. With the addition of these new sites the estate will grow to a total of 19 outlets, including nine existing Brasserie Blancs and two White Brasserie pubs. The restaurants joining the group are located at Bishopsgate, Chancery Lane, Charlotte Street, Covent Garden, St Pauls, Southbank, and the Tower of London. Mark Derry, CEO of Brasserie Bar Co said: “We are delighted to have secured these prime locations for Brasserie Blanc which will give us significant traction in central London and progresses Raymond Blanc’s dream of bringing quality French food to the high street. We have an exceptional team, led by John Lederer, which is ready to go. Our task will be to transform these sites to the quality our customers have come to expect from the Brasserie Blanc brand. Brasserie Bar Co, the group behind Brasserie Blanc and the White Brasserie Company, has successfully raised £20 million of new capital through investor, Core Capital, to expand its two proven concepts. The investment will allow the group to develop new sites for its well established Brasserie Blanc brand and White Brasserie Company pub format over the next five years. Mark Derry, CEO of Brasserie Bar Co said: “This capital injection will allow for more rapid expansion of our brasserie businesses and is testament to the resilience of our existing restaurants which are trading well and providing good returns on investment. We believe that this market is robust and offers good growth opportunities. The team behind Brasserie Bar Co has a proven track record in retail hospitality investments and operations, with many having previously worked together to develop Loch Fyne Restaurants before its successful sale to Greene King. Mark Derry is chief executive of Brasserie Bar Co and will oversee the group’s growth strategy while well-regarded restaurateur, John Lederer, is managing director and has overall management responsibility across both brasserie businesses. Ian Glyn is chairman and Helen Melvin, former CFO of Loch Fyne Restaurants, is to join Brasserie Bar Co as finance director. The directors of Brasserie Bar Co were advised by Zolfo Cooper Corporate Finance Limited. Brasserie Bar Co opens its new headquarters office in Teddington this month. Brasserie Bar Co, the company and team behind Brasserie Blanc, announces the launch of a retail hospitality concept targeting pub and bar sites in the UK. The new offering, known as the White Brasserie Company, is based on the Brasserie Blanc business, taking the best aspects of a French brasserie – bustling environments, quality of food, drink and service – and blending them in a more relaxed, local pub setting. Two White Brasserie Company sites have already been secured to showcase the new venture. The Queen's Head in Weybridge, Surrey will open this month and the King's Head in Teddington, Middlesex is expected to open in September. Brasserie Bar Co. plans to trial these two sites and then expand the concept nationwide. Brasserie Bar Co. successfully raised £3.3m new funding from existing investors in early 2010 to grow Brasserie Blanc and develop the White Brasserie Company. The team behind Brasserie Bar Co. has a proven track record in retail hospitality investments and operations, and include former Loch Fyne Restaurants directors Jeremy Hardie, Mark Derry and Ian Glyn. 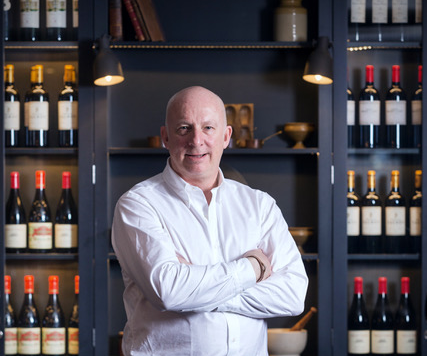 Mark Derry is tasked with the strategic development of Brasserie Bar Co, working closely with co-director and experienced restaurateur, John Lederer, who has overall management responsibility across both brasserie businesses. Alongside the roll out of the White Brasserie Company, and after the recent success of its eighth restaurant opening in the City of London, Brasserie Blanc will continue to expand in select provincial locations. Plans are to operate up to 20 sites by 2015. Existing restaurants are located in Bristol, Cheltenham, City of London, Leeds, Milton Keynes, Oxford, Portsmouth and Winchester.